For the Family that loves Elegant, One-Story Living, this 4 Bedroom, 3 Bath Perry Home located in Shadow Creek Ranch is PERFECT! BEAUTIFUL Open Island Kitchen with BRAND-NEW GRANITE includes a Large Single Basin Sink, stainless steel appliances, breakfast counter, and an abundance of storage. 10-12 FT Ceilings Throughout, Crown Molding touches Everywhere, gleaming hardwood floors and tons of upgrades. Large Family Room is open to Kitchen and includes a Gas Log Fireplace. Great Master Suite with Spacious Bathroom and HUGE Walk-in Closet. Secondaries all include Hardwood flooring and high ceilings. PLENTY of NATURAL LIGHT! Excellent location â€“ Minutes from Hwy 288, Restaurants, and Shopping. Only 8 miles to the Texas Medical Center for a quick commute. Shadow Creek Ranch offers resort-style pools and waterparks, Unique nature preserve, 22 miles of hiking and biking trails, and over 300 acres of majestic lakes. Directions:FROM 288S - EXIT FM 518/PEARLAND. RIGHT ON SHADOW CREEK PARKWAY. LEFT ON KIRBY DR. LEFT ON ENCLAVE LAKE. LEFT ON KIRBY SPRINGS. PROPERTY ON THE LEFT. SchoolsClick map icons below to view information for schools near 2006 Kirby Springs Court Pearland, TX 77584. Listing provided courtesy of Keller Williams Realty -SW.
Home for sale at 2006 Kirby Springs Court Pearland, TX 77584. Description: The home at 2006 Kirby Springs Court Pearland, TX 77584 with the MLS Number 72423113 is currently listed at $314,500 and has been on the Pearland market for 105 days. 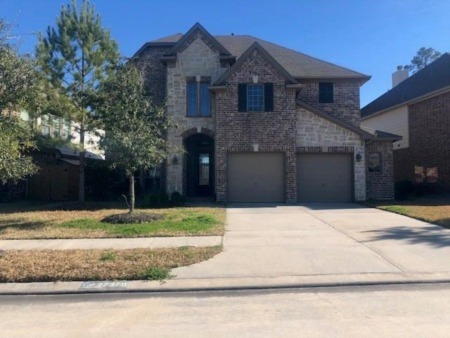 You are viewing the MLS property details of the home for sale at 2006 Kirby Springs Court Pearland, TX 77584, which is located in the Shadow Creek Ranch subdivision, includes 4 bedrooms and 3 bathrooms, and has approximately 3212 sq.ft. of living area.